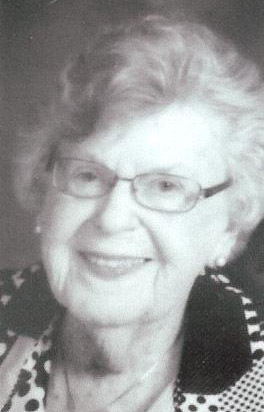 Ward, SC Louise Gibson Harris Robertson, 88 of Ward, SC went to be with the Lord on Thursday, February 4, 2016. The funeral will be at Ward Baptist Church in Ward, SC on February 6 at 11 am. with Rev. Charles Bodie and Rev. Shane Burnett officiating. Interment will follow at Sunset Gardens Memorial Park. She was predeceased by her parents, Eva Marie, Tom & Lillie Mae Gibson, her first husband Dave Harris, daughter Lois Harris Clark, brothers: David, T. A., George and Billy Gibson. She is survived by her husband, Steve Robertson, daughter, Sandy Harris Cogburn Housel (Tom), grandchildren, Ginger Cogburn Burnett (Shane), Greg Cogburn, Blake Clark (Kenley) great granddaughters, Claudie & Blair Burnett, Katie & Courtney Cogburn, step-children, Hayward Robertson (Starr), Vickie Robertson, Janet Robertson Rowe (Wayne), Joleen Robertson Sanders (Mike) & their families, and special niece, Norma Gibson (Angel Girl). Mrs. Robertson retired from Riegel Textiles in Johnston, SC after 25 years. 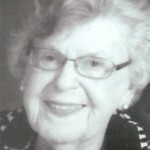 She was a life long member of Ward Baptist Church and taught Sunday School for 15 years.